Discover Miami’s vibrant street art and your own creativity in this creative photography class held in the infamous Wynwood Art District. The tour will be very similar to that seen on the Miami episode of American Canvas on Ovation TV. During the show I explore the street art in Miami’s Wynwood Art Distict with host Dave Holmes. We discuss camera techniques and discovering your creative vision. For a preview please visit http://youtu.be/BozU82jqmy0. This creative photography class will begin at 2:00PM at the Wynwood Kitchen & Bar surrounded by some fantastic murals by Kenny Scharf, Shepard Fairey, Futura and many others. 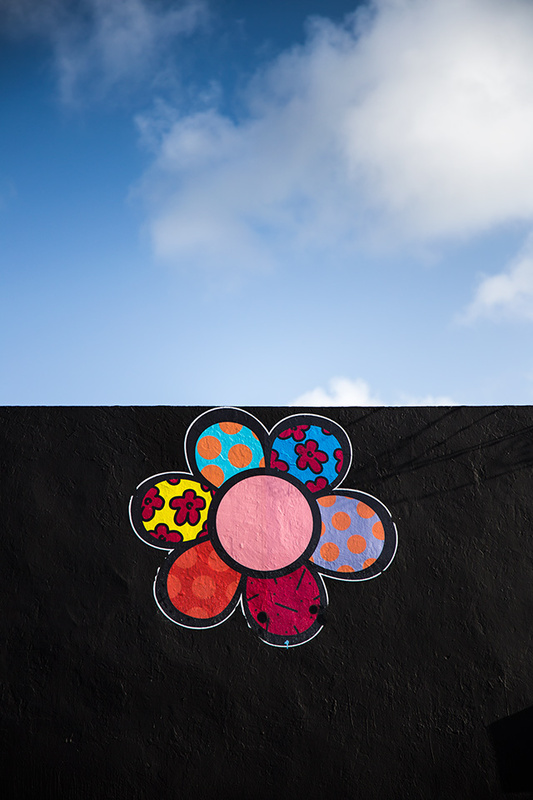 From there we will explore the street art and gallery culture Wynwood is known for. The excursion will end around 5PM at the food truck circle where you will have the opportunity to sample foods ranging from Korean food at Sakaya Kitchen to gourmet grilled cheeses at Ms. Cheezious to my son Aaron’s favorite BBQ burger in the world at a food truck simply called Bite. There are usually 40+ food trucks in the circle on Second Saturdays Art Walk. Most of the galleries will also be open that night providing a great opportunity for you to check them out. I will be happy to give suggestions to help you find your way. Bring your camera, batteries, plenty of memory cards, a notebook and be prepared to walk and explore one of the most unique neighborhoods you’ll ever visit. As we get closer to the date I will send out a map with directions and recommendations for parking. I will be in Wynwood early to have a delicious lunch at Wynwood Kitchen & Bar. Please let me know if you would like to join me. Other nearby options for food include Panther Coffee, Joey’s, Miam, Jugo Fresh and Mmmm. All are within a few blocks of each other on NW 2nd Avenue in Miami. I recommend eating BEFORE the tour starts. We will stop for coffee and quick snacks along the way. Please feel free to contact me with any questions or to reserve your spot for this creative photography class!